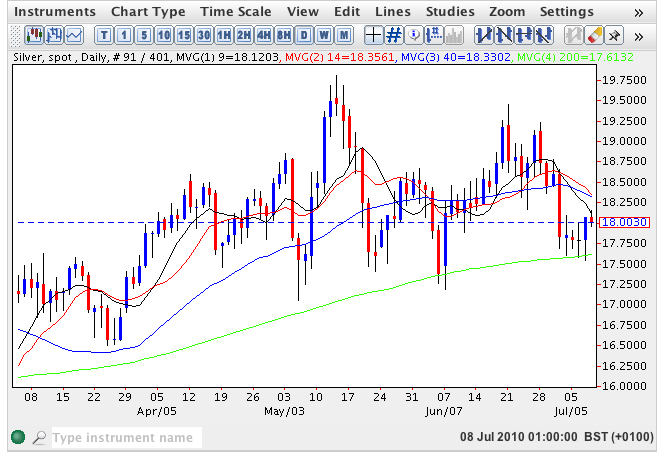 The 200 day moving average once again came to the rescue for spot silver yesterday with the low of the day at $17.54 per ounce finding a platform of support from this key indicator which also supported the pullbacks both in early June and early May. The silver trading session ended with a narrow spread up candle but one with a deep lower wick and which confirms the reversal signalled by the 2 previous long leg doji candles as a result. Despite the silver trading closing above the psychological $18 per ounce price point we still have some way to go to regain the recent longer term momentum and the first step will be a break and hold above $18.50 per ounce which should clear recent short resistance as well as breaking above all four moving averages once again. 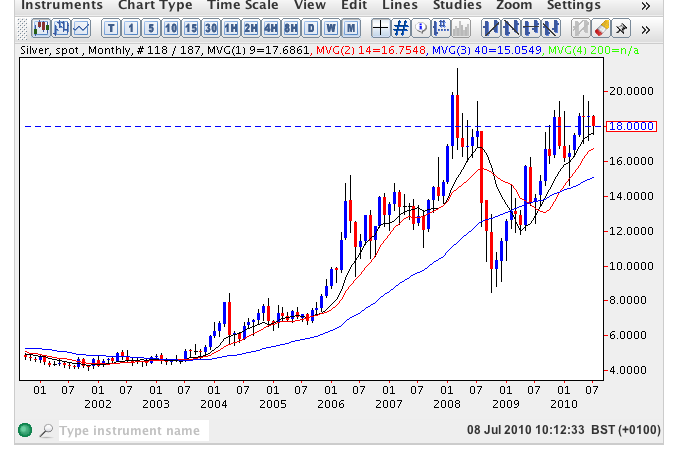 The longer term picture for silver remains firmly bullish with the 9 month moving average, in particular, providing strong support. However, with two consecutive long leg dojis on this chart we may expect to see a pullback before the longer term upwards trend can resume.